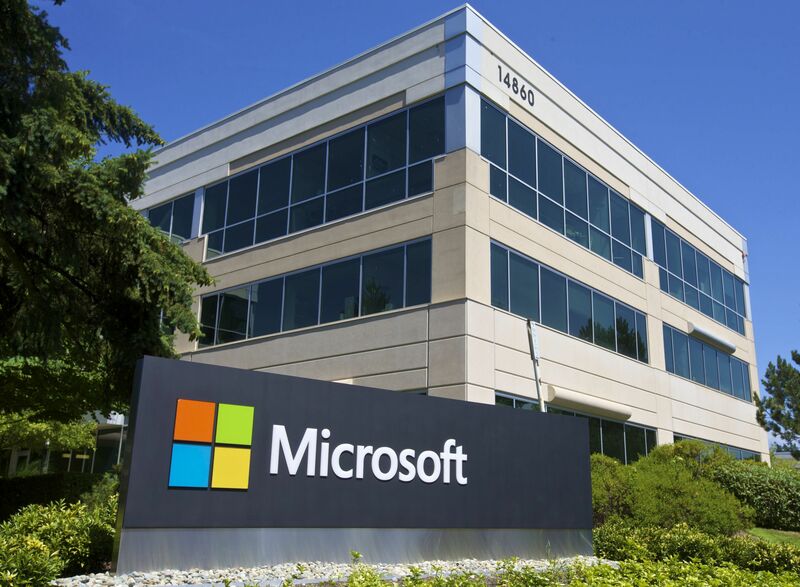 Microsoft is one of the largest technology companies in the world, with 126,945 global employees and some of the most recognizable software on the planet. But they're not just looking for people with years and years of experience. Half of the company's recruiting efforts are focused on bringing college students into the internship program, grooming them for the company, and then extending job offers before graduation. Anthony Rotoli is one of the dozens of university recruiters who spends time on college campuses looking for the next rising star. Here he talks about what it takes to shine. What's the process for recruiting on campus? If you're graduating in this school year, we consider you a full-time applicant. If you will be graduating later, we consider you an intern applicant. I focus on campus engagement at Carnegie Mellon, Princeton University, and UC Berkeley. I manage our entire presence on those campuses. We host events, sponsor student organizations, engage in career fairs, and stage hackathons. These are great opportunities for candidates to meet me and follow up with an email or a résumé. I'm usually getting hundreds of résumés at a time. The standouts from each bunch have a 30-minute interview on campus with a Microsoft professional. Based on the feedback from that interview, we decide whom to fly to corporate headquarters in Redmond, Washington, for the next interview. Is this the way recruitment works on all college campuses? We have recruiters on the ground at more than 300 schools, but we also have a footprint nationally and globally. For example, let's look at the state of Pennsylvania. I recruit at Carnegie Mellon and another recruiter works with Penn State, another one is at the University of Pennsylvania. Then there is a separate recruiter who handles every other college in the state. Candidates from smaller schools apply online at Microsoft.com/university. There's a button there that says, "Find my recruiter," which gives you all the contact information for the person responsible for your school or region. What are the requirements for the internship program? There are not a lot of hard requirements here. The majority of interns are juniors or in the first year of their MBA or Ph.D. But we bring on interns as early as their freshman year. It's a 12-week program here at headquarters. Interns work on real products and learn from seasoned team members. We pay our interns very well, and if they're hired, we make it very easy for them to relocate. How do you decide which interns to hire? Interns receive two reviews during the internship. If they perform well on both, we give them a return offer on the spot before they go back to school. Sophomores or younger receive an offer to come back as an intern after their junior year. Interns returning to school as seniors will get a full-time job offer. More than anything, we want passion and curiosity. When I find candidates passionate about Microsoft or technology in general, it's contagious. I like when candidates do more than just ask how we work, but offer suggestions for improvement, [and] show some ambition and confidence. They don't need to know details like what was our stock price yesterday. But having a general idea of what the products we're working on now is important. I encourage applicants to look at the recent news and trends in technology. Where are most jobs located for new hires? We have a global and national footprint, but the majority of our new hires do come here to headquarters in Redmond, Washington. It's the core of our software development team. We offer everyone two options: A full relocation package that handles every detail — from movers packing up your house or dorm, moving your car, your pet, and paying for 100 percent of your travel expenses. It makes the move seamless. We also give people the opportunity to take a lump sum stipend for relocation. For some new graduates, that makes more sense. They can move themselves and use the money to help them get settled. We cover the same applicable expenses for our interns. We don't want the thought of moving and preparing to move to be a burden at all. We do the same for our international hires. We sponsor visas in full, assign them a lawyer, and pay for travel and relocation. It's an easy transition. Do you attend trade shows or job fairs outside of the university system? We visit all of the larger diversity conferences, such as Society of Hispanic Professional Engineers, Grace Hopper, and Out for Undergrad Technology. We send employees who have been members of those organizations along with our recruiters so that they can provide mentorship and better communicate to applicants what it's like to work here. Personally, I invite people to follow me on Twitter. It's an easy way to keep in touch and hear my tips on job seeking, which I post as often as I can. We also have the Microsoft Jobs blog. My rule with LinkedIn is that if we have no connection whatsoever, I often won't accept a friend request. I'm not going to be very beneficial. And I only connect with people on Facebook if I've built a relationship with them — and they are no longer a candidate but a colleague. We use social media tools like GitHub and Piazza to seek talent. I will rarely go on somebody's Facebook to see what pictures they post. Your personal life is your personal life. Software development and program management is where we hire the majority of new people. MBAs are hired for corporate functions like finance and marketing. There are also entry-level opportunities in user experience, design, sales, consulting, technology consulting, and data. We have a growing need for data specialists, which is an emerging need in the technology industry. There are so many cool jobs I never knew existed. I just found out about a recent graduate who was hired to focus on environmental responsibility — how we build our buildings, make our products, and educate our employees. I think that's so cool. We need fresh ideas in every department. For engineering disciplines, you're going to see computer science degrees, but it's definitely not a prerequisite. One of my favorite stories is about a student who participated in a hackathon during his internship and delivered, by far, the best product. He has a degree in English and theater, but clearly a passion for coding. He's now a full-time program manager.